BE A MENTOR, HOUSE A PLAYER! There is not catch or lies. THIS IS REAL! 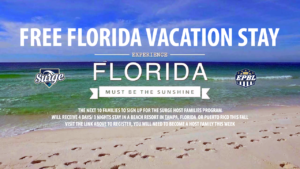 Its as simple as become a host family and you will have your stay paid for. Flights not included, we will pay for your stay at our beach resort in Americas #1 beach Clearwater, Florida or Puerto Rico. Once you signed up, we will contact you. Choose your dates and we will book it for you! We are doing this as a thank you for your dedication and love to our Players looking to further their baseball careers and be mentors to your children and/or children within the community.